I must start off with an important Public Service Announcement. Tonight I discovered Peapod. You can buy groceries online! And have them delivered to you! Good Lord, I’m excited. I don’t think you people realize how truly glorious this really is. I can buy fresh fruits and vegetables. I can buy those bulk packs of toilet paper or paper towels without thinking of the logistics of carrying them home. Lovely. Moving on, today was an expedition into the land of Slack. I stayed in my pajamas all day, watching Paige play video games (in her pajamas) with Tim providing comedic relief (in his pajamas). It was just one giant lazy day had by all. Tim wants to make a spinoff of my “I have a black belt in crazy” t-shirt that says, “I have a black belt in lazy.” I’d wear it. I wonder if Paige is still over. She’s spent the past 2 nights at our place, and Tim was working on making it 3 when I left for work. Paige and Tim then took it upon themselves to set a new desktop background image on my computer. She googled “farts” and for some odd reason this picture showed up in the results. Of course, they set it as my background. I just want you to know how much I love reading your blog. You make me smile (I don't laugh a lot out loud, so smiles are very good). I'm coming to Chi-town in 12 days. Maybe I'll see you then?? Yay! Yes, I would like to see you. Who is that? Am I a total rube for not knowing? I haven't used Peapod b/c you have to spend (I think) $100 for free delivery and I never plan food stuff that far ahead. Who is who? Paige? One of my friends here in Chicago. She's had appearances in previous posts, but is by no means a regular–like Tim. Ah, I just got it. Who's in the picture…you mean. 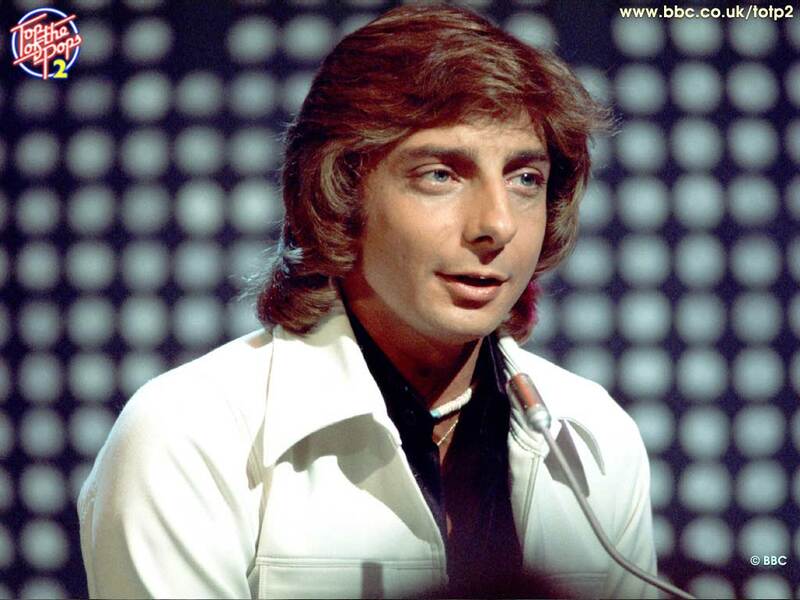 Barry Manilow. He's so young. I thought it was one of the Partridge family or something.